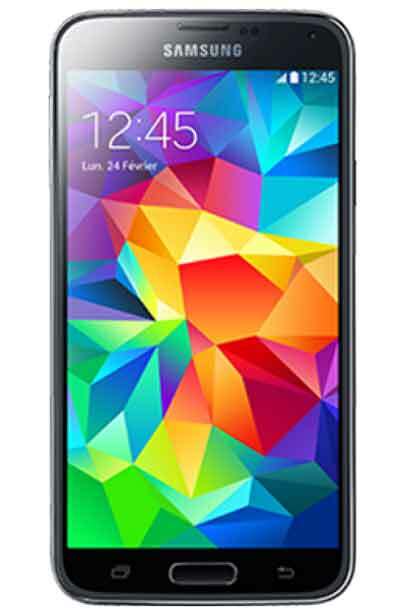 Download Samsung Galaxy S5 G860P G9006V G9006W G9008V G9008W G9009D G9009W G900A G900AZ G900F G900FD G900FQ G900H G900I G900J G900K G900L G900M G900P G900R4 G900S G900T G900T1 G900T3 G900V G900W8 Combination file with Security Patch U1, U2, U3, U4. (Factory Binary level) S1, S2, S3, S4. We have Large Collection of Samsung combination files All Combination Firmware ROMs are free to download. In case you didn’t find your device supporting combination file then you can Remove or Bypass Google Account FRP G860P G9006V G9006W G9008V G9008W G9009D G9009W G900A G900AZ G900F G900FD G900FQ G900H G900I G900J G900K G900L G900M G900P G900R4 G900S G900T G900T1 G900T3 G900V G900W8 Without Combination file. Check Samsung G860P Combination files in the list below. In case didn’t find Galaxy G860P combination ROM you can request it in comment section.. Check Samsung G9006V Combination files in the list below. In case didn’t find Galaxy G9006V combination ROM you can request it in comment section.. Check Samsung G9006W Combination files in the list below. In case didn’t find Galaxy G9006W combination ROM you can request it in comment section.. Check Samsung G9008V Combination files in the list below. In case didn’t find Galaxy G9008V combination ROM you can request it in comment section.. Check Samsung G9008W Combination files in the list below. In case didn’t find Galaxy G9008W combination ROM you can request it in comment section.. Check Samsung G9009D Combination files in the list below. In case didn’t find Galaxy G9009D combination ROM you can request it in comment section.. Check Samsung G9009W Combination files in the list below. In case didn’t find Galaxy G9009W combination ROM you can request it in comment section.. Check Samsung G900A Combination files in the list below. In case didn’t find Galaxy G900A combination ROM you can request it in comment section.. Check Samsung G900AZ Combination files in the list below. In case didn’t find Galaxy G900AZ combination ROM you can request it in comment section.. Check Samsung G900F Combination files in the list below. In case didn’t find Galaxy G900F combination ROM you can request it in comment section.. Check Samsung G900FD Combination files in the list below. In case didn’t find Galaxy G900FD combination ROM you can request it in comment section.. Check Samsung G900FQ Combination files in the list below. In case didn’t find Galaxy G900FQ combination ROM you can request it in comment section.. Check Samsung G900H Combination files in the list below. In case didn’t find Galaxy G900H combination ROM you can request it in comment section.. Check Samsung G900I Combination files in the list below. In case didn’t find Galaxy G900I combination ROM you can request it in comment section.. Check Samsung G900J Combination files in the list below. In case didn’t find Galaxy G900J combination ROM you can request it in comment section.. Check Samsung G900K Combination files in the list below. In case didn’t find Galaxy G900K combination ROM you can request it in comment section.. Check Samsung G900L Combination files in the list below. In case didn’t find Galaxy G900L combination ROM you can request it in comment section.. Check Samsung G900M Combination files in the list below. In case didn’t find Galaxy G900M combination ROM you can request it in comment section.. Check Samsung G900P Combination files in the list below. In case didn’t find Galaxy G900P combination ROM you can request it in comment section.. Check Samsung G900R4 Combination files in the list below. In case didn’t find Galaxy G900R4 combination ROM you can request it in comment section.. Check Samsung G900S Combination files in the list below. In case didn’t find Galaxy G900S combination ROM you can request it in comment section.. Check Samsung G900T Combination files in the list below. In case didn’t find Galaxy G900T combination ROM you can request it in comment section.. Check Samsung G900T1 Combination files in the list below. In case didn’t find Galaxy G900T1 combination ROM you can request it in comment section.. Check Samsung G900T3 Combination files in the list below. In case didn’t find Galaxy G900T3 combination ROM you can request it in comment section.. Check Samsung G900V Combination files in the list below. In case didn’t find Galaxy G900V combination ROM you can request it in comment section.. Check Samsung G900W8 Combination files in the list below. In case didn’t find Galaxy G900W8 combination ROM you can request it in comment section..
We can Flash Samsung Galaxy S5 with combination file by using Samsung Odin. We have provided a complete step by step process to flash combination firmware. This is mostly used when the Samsung Galaxy device is locked by FRP or to check complete hardware. If you want to Bypass Samsung Galaxy S5 Google Account or FRP lock with combination file or without combination Firmware. Just follow the step which we have given in the Article. Samsung Galaxy S5 Flash Official Stock ROM Firmware to make your device in normal condition.